If only I get a Thousand pesos every single time I get asked this question, I’d probably be a couple of thousand pesos richer now. It’s true, living abroad has its perks – independence, the chance to meet and be assimilated to more cultures and nationalities, discovering a new place…the list go on and on. However, I always say that no matter wherever one may be, you should always keep a solid connection back home. It’s one thing to set your wings and fly but it’s another to know that you have to still fly back home and stay grounded where you belong. We’re lucky that home for us is a quick 4-hour flight away. However, I’ve come to realized that keeping abreast to the latest news regardless if this concerns the nation or my family is not very easy. Well, at least there’s Facetime and Whatsapp for my Family and to be updated with our national and lifestyle news? 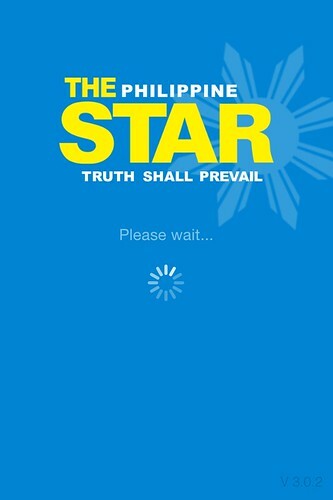 I rely on The Philippine Star Pagesuite App which I’ve recently downloaded for FREE! 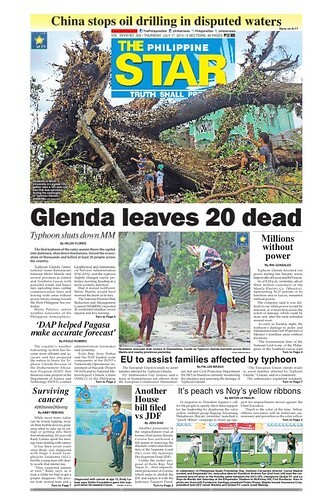 Take for example the recent typhoon that literally took Manila by storm, I was able to view and read about how great the damages were and knowing that a number of areas remained electricity-less for days. 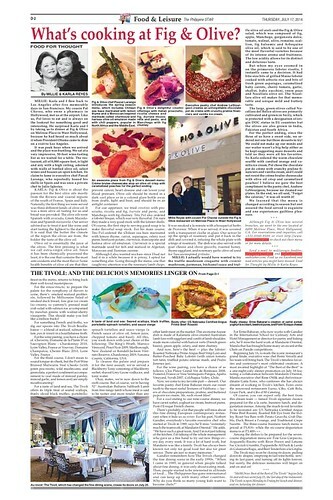 Thursday is my newspaper reading day. Want to know why? 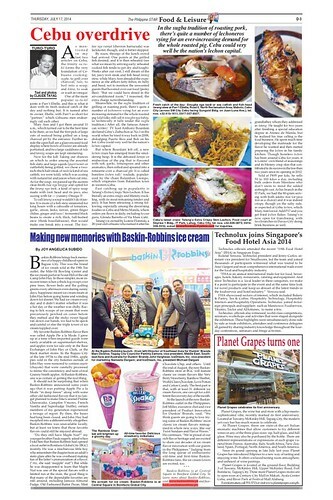 It’s when Food is the main focus in the Lifestyle section of The Philippine Star and I just love keeping myself updated with what are the newest restaurants and food trends back home. At least, I won’t totally be at lost whenever I go home to visit, right? and hey, it’s my friend and fellow blogger Rica de Jesus of Heart-2-Heart! 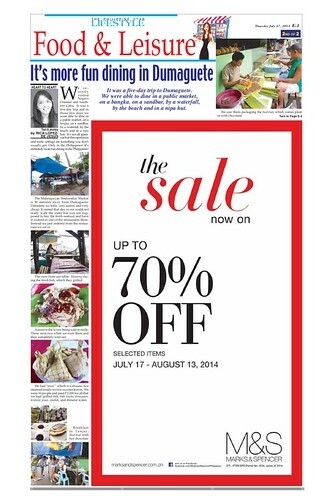 There are just days wherein I’m so busy that I wasn’t able to catch the news on a certain day. 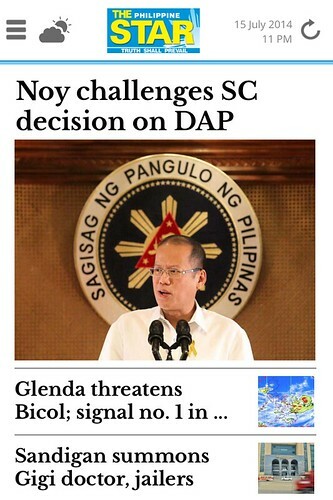 I’m glad that the app also contains the archive copies where I can easily backtrack and catch up with the news. 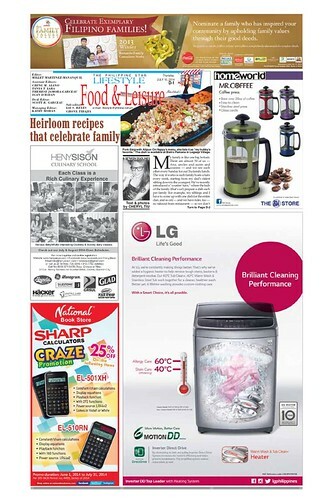 I’m so glad that The Philippine Star has created this really easy to navigate app which is perfect for people who lives far away from home yet who wants to stay up-to-date with the happenings back home. Download it now at the App Store, go ahead it’s free!